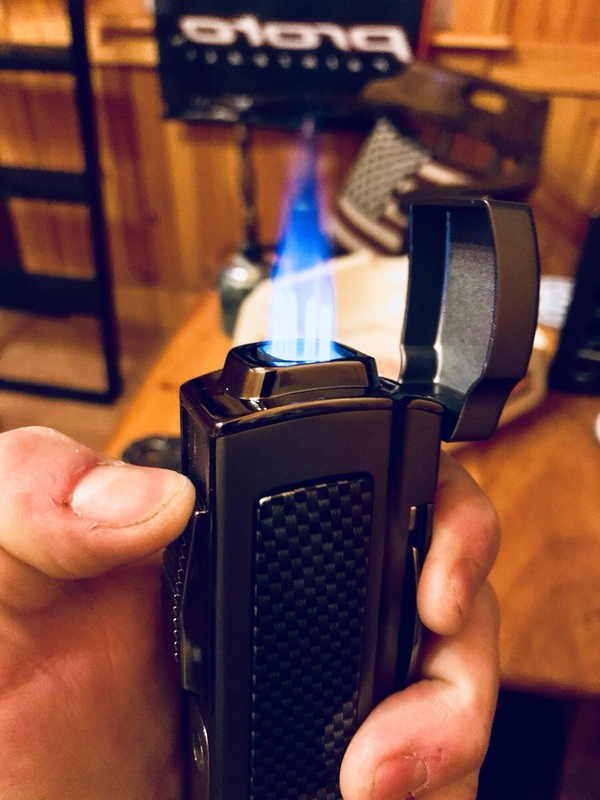 I had misplaced my normal cigar lighter and was in the market for a new one. I wanted one that was going to stay in my smoking shed, so I was ok with going larger. 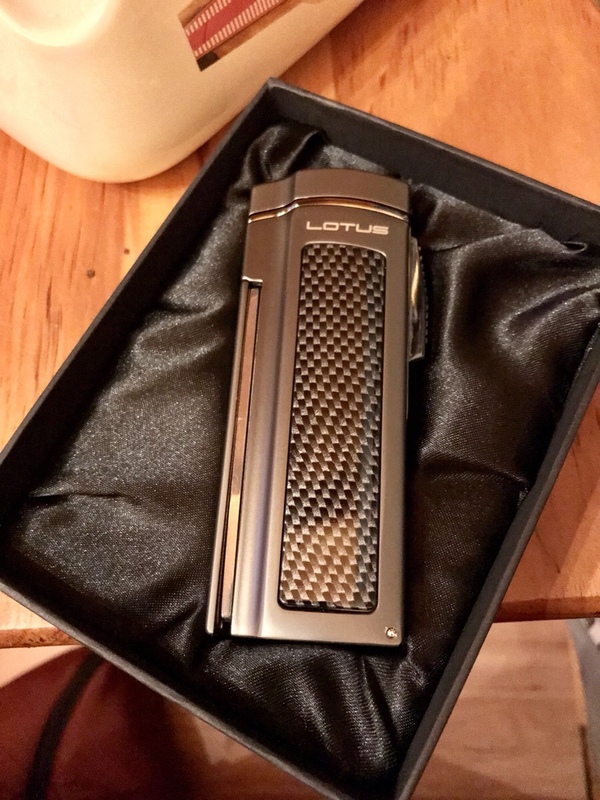 I found exactly what I was looking for in this Lotus Cigar lighter. 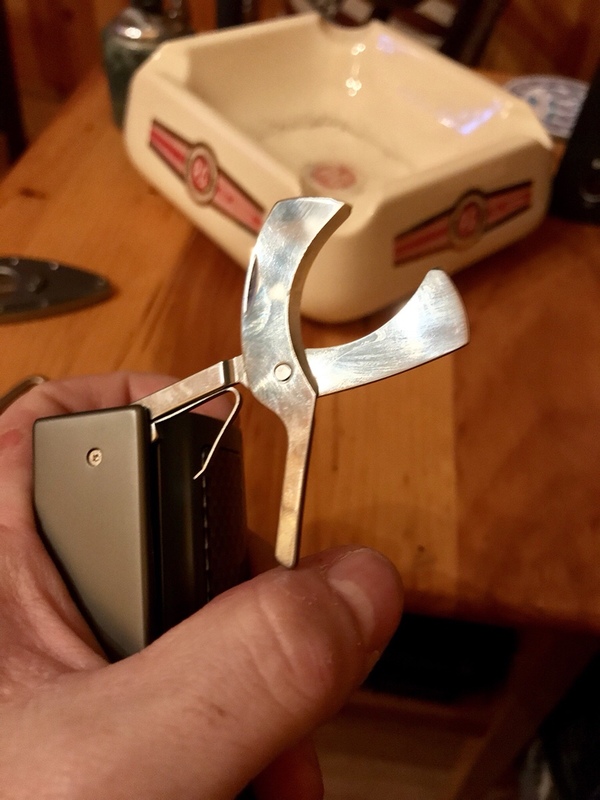 The first thing I noticed when I opened up the top is a large 4 jet burner for lighting cigars. 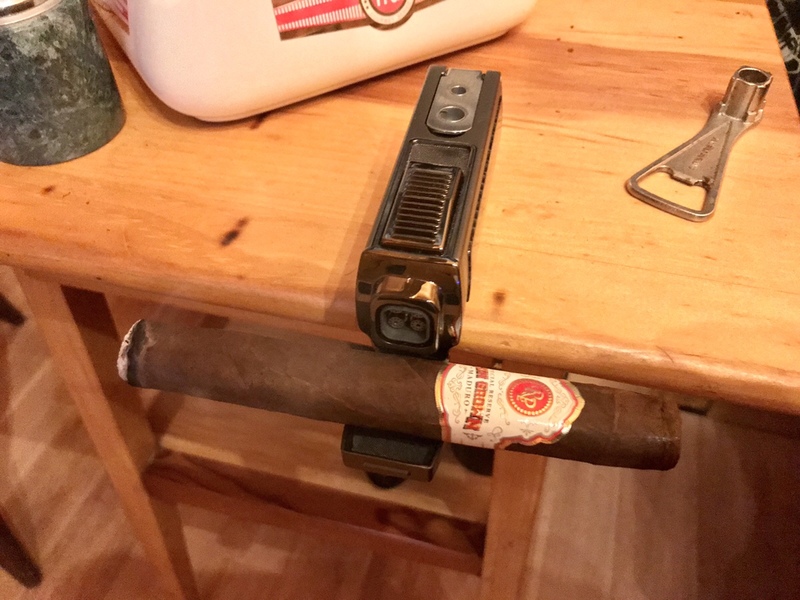 So it cuts cigars in multiple different ways, it lights with ease, is there anything else that this thing can do? Of course there is. 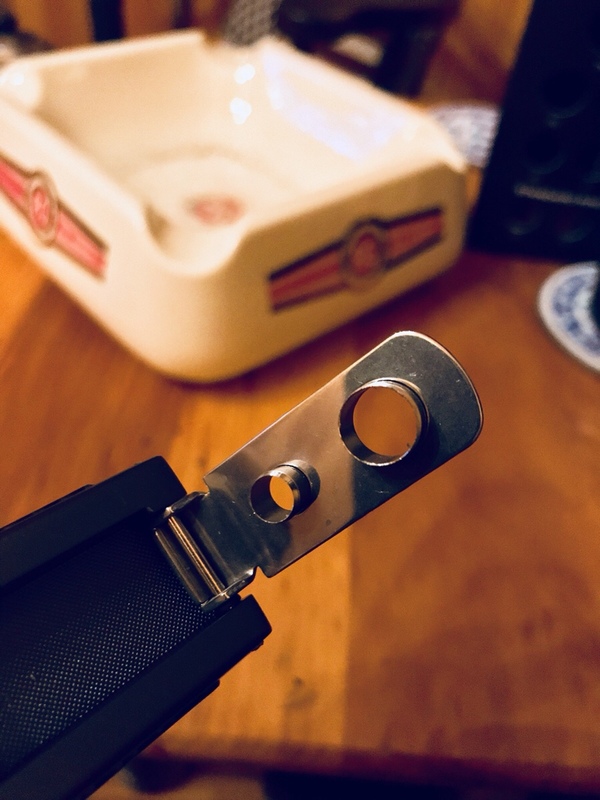 You’ll notice that the lid is curved just right, so when layed down it acts as a cigar holder! I’m extremely happy with the purchase. The one is in “gunmetal” grey. They also come in silver and black I believe. 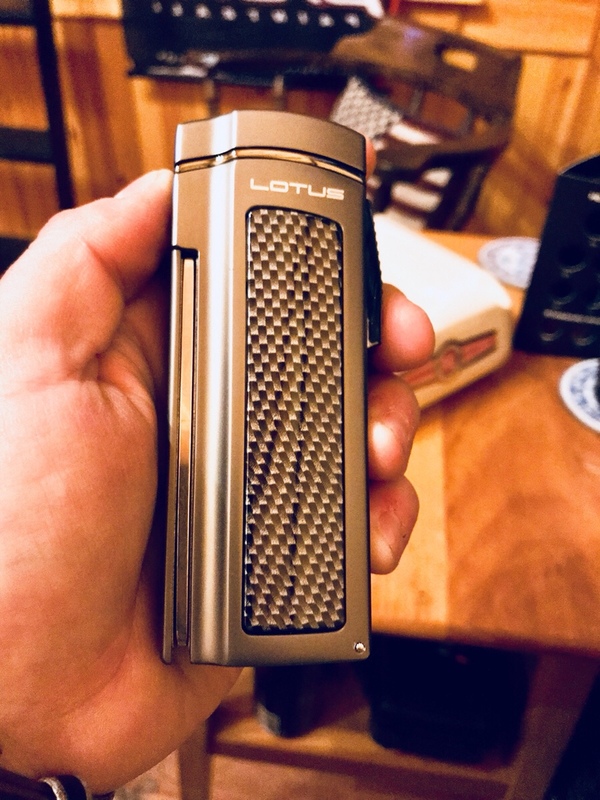 This isn’t your daily carry lighter, but for those of us with a cigar smoking spot, this cigar really stands out above the others and will impress all those that use it.